facilities management | Odd Job Handyman Services, Inc.
What is a facilities management company? Taking care of a commercial facility is not easy. Every retail or office space comes with its’ own unique management challenges, and smoothly overcoming all these complicated issues can be difficult on your own. Even medium-sized corporations rarely have the time or internal expertise to handle all their own facilities management issues. Whether your corporation needs new displays and shelving installed, the floors refinished, walls repaired and painted, art, bulletin boards, and TV monitors hung safely and securely, new walls framed to divide space, plumbing issues repaired, employee washrooms renovated, or anything else you might think of, Odd Job can handle all your small maintenance and repair needs. 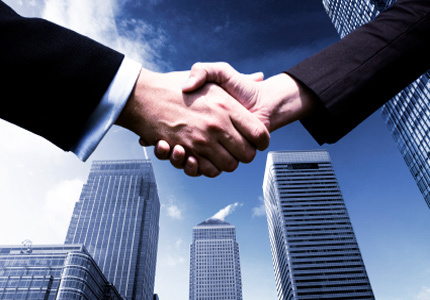 Our facilities management services also extend to realtors in the Greater Toronto Area. Are you a realtor preparing to show a property to your prospective buyers? We’ll take care of those last-minute repairs and upgrades so that you can be ready for an open house. Even the smallest improvements can make the difference that closes the deal. Odd Job can also help with those last-minute repairs that are necessary to help you move a home as fast as possible. Our services include replacing or repairing tiles and grout, repairing drywall and repainting walls, updating fixtures in kitchens and bathrooms, fixing electrical outlets and lights, refinishing decks or patios, and much more. Our rates depend on the length and scope of your project. Our junior technicians work primarily on minor repairs and maintenance tasks at $80 hourly. Our more experienced staffers make $100 hourly for larger, more complicated projects. Rates for a crew of two handymen start at $130 per hour for general repairs and redecorating requests. Check out the full breakdown of our rates. We realize that your home or business is probably one of your most valued assets. This is why all new installations completed by Odd Job are covered by a two-year, hassle-free guarantee. Should something go wrong, we are promising to return and repair it at no additional charge. We’d like you to be as confident in our work as we are. All our repair and maintenance technicians are fully licensed by the city, fully insured (CGL & WSIB), and bonded for theft and damages. Give us a call at 416-520-1161 or book our amazing team online.